MJ's Doctor: "The Truth Will Prevail"
"I have done all I could do," a solemn-sounding Murray says as he looks into the camera. "I told the truth and I have faith the truth will prevail." The video was recorded last week at a private residence in Houston, said Miranda Sevcik, the spokeswoman for Murray's lawyer. "Because of all that is going on, I am afraid to return phone calls or use my e-mail," Murray says. "I recorded this video to let all of you know that I have been receiving your messages ... Your messages give me strength and courage and keep me going. They mean the world to me." Since Jackson's death, Murray has not worked and has closed his Las Vegas practice. "He says he wants to get back to work, he really does genuinely care about the people he works with," Sevcik said. "He has to just wait, he's in limbo." "This doctor has been demonized," Lee said. "This is an attempt to humanize him and possibly sway any potential jury pool out there." 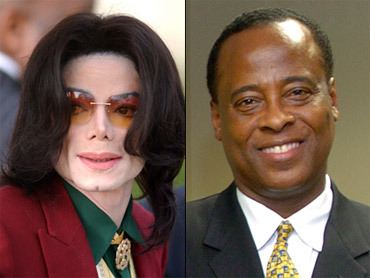 Click here for complete coverage of Michael Jackson's life and death. The Los Angeles coroner's office has said it has completed its work determining Jackson's cause of death but won't be releasing results until the police investigation is complete.